Rainbow trout on the grill. A rainbow trout is a species of fish that is common to many cold water streams throughout the world. The freshwater fish is characterized by a colorful red band along the side that often looks as though it may contain other colors as it fades. The rainbow trout also has a number of distinctive small dark spots all over the body. While the rainbow trout has been introduced to streams all over the world, it is native to rivers and streams along Asia and North America. It is a predatory fish that has caused some strain in non-native waters. Rainbow trout have a normal lifespan of approximately four to six years. They usually reach a maximum size of 20 to 30 inches (50 to 67 cm) and a weight of 8 pounds (3.5 kg). The largest rainbow trout ever recorded weighed in at 57 pounds (25.8 kg) and was estimated to be 11 years old. The rainbow trout is prized all over the world for its sport fishing qualities and food quality. The rainbow trout fillet is often considered one of the best in the world. It is a white meat fish with a very light and mild, but satisfying flavor. Historically known as a very finicky fish, rainbow trout require cold water streams with plenty of rushing water in order to survive. Due to this condition, most rainbow trout are found in mountain streams, though they are also found in some cold water streams that have a fast current in other places as well, including the Midwestern United States. A very select few can be found in some clear lakes. Because they are such a fragile fish, they are very susceptible to pollution and water conditions. In many cases, because they are so sought after as a game fish and are so fragile, native populations cannot be maintained without an active fish management program. State fisheries often release fingerling rainbow trout into waterways suited for their development and monitor populations and water conditions. In addition to those in the wild, rainbow trout are also farmed for their flesh. 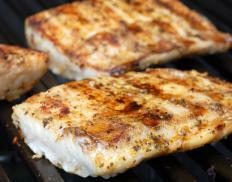 The fish can be prepared in a variety of ways, including fried, cooked over an open fire, broiled, grilled and baked. @chrisinbama: Crankbait is actually a classification of many different manufactured fishing lures. They are designed to imitate the foods that a fish would naturally eat. Most (but not all) crankbait has a plastic or wood hard body and has one or more treble hooks along the body. They have a head section and a tail section. The head section includes an eyelet for tying your line on. The tail section is where you would normally put a smaller treble hook. Crankbait is also painted with features that closely resemble eyes, gills, and other parts of a fish to make it look realistic. They come in a large variety of colors, shapes, weights, and sizes. I love fishing but I have never fished for trout. I was reading the post by googie98 about using crankbait. What exactly is crankbait? @chrisinbama: One of the ways to catch trout is by fly fishing. The movie “River Runs through It” was a great depiction of fly fishing for trout. However, more trout are caught on spinning tackle. Crankbaits and in-line spinners are very effective. It is said that the most effective way of catching rainbow trout is to use natural bait. Many anglers have found that by floating an egg-sac or a worm downstream, they can reach many of the trout that are beyond casting distance. Scented products also work well when fishing for rainbow trout. What is the best strategy when trout fishing?